Payscout is a global payment processing provider covering six continents by connecting merchants and consumers via credit, debit, ATM, and alternative payment networks. What differentiates Payscout is its mission, “to support the entrepreneurial dream one transaction at a time.” Payscout achieves this by being a thought leader in the payments industry. Its “Go Global Now” technology platform gives merchants instant access to 100+ countries, billions of consumers and trillions of dollars. Payscout offers payment processing solutions for brick-and-mortar and ecommerce transactions, and has earned acclaim as a new-generation provider of merchant banking services, specializing in online/ecommerce retailers with a predominant proportion of card-not-present (CNP) transactions; it is one of the few providers to deliver a true global payment solution that encompasses all merchant risk verticals. Customers can access Payscout’s credit card processing services via a state-of-the-art, web-based user portal and through direct interactions with highly-trained experts. In addition to supporting thousands of clients across a multitude of industries and all 50 American states, Payscout maintains global partnerships with VISA USA, Bank of America Merchant Services, VISA Europe, VISA Latin America, VISA Asia Pacific, MasterCard Worldwide, China Union Pay, Deutsche Bank, and First Data. 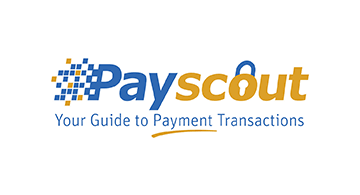 Payscout was recognized as one of America’s fastest-growing privately-held companies in 2014, 2015, and 2016, ranking #2,416 in 2014, #434 in 2015, and #383 in 2016 on Inc. Magazine’s Inc. 500/5000 list. Within the financial services industry, Payscout placed #140 in 2014, #24 in 2015, and #27 in 2016. Payscout was also ranked #17 among medium-sized companies on Entrepreneur’s Top Company Cultures list for 2017. For more information, visit http://www.payscout.com.